The European Area of Freedom Security and Justice (EAFSJ): scope, objectives, actors and dynamics. Aim: to take stock of the current state of EAFSJ and of its foreseeable evolution within the next multiannual program 2015-2019 (to be adopted under Italian Presidency at the beginning of the next legislature). Euro 200,00 (FOR STUDENTS / RESEARCHERS) . (Bank Account of Fondazione Lelio e Lisli Basso – Banca Nazionale del Lavoro Ag. Senato Palazzo Madama: IBAN IT18I0100503373000000002777 ). Languages: lessons will be mainly in Italian (some lessons will be in English and French), teaching material will be in Italian and/or English, French. English/Italian translation will be available. Stefano Manservisi: After the Stockholm Programme : how to preserve the specificity of the European Area of freedom security and Justice related policies by integrating them in the general EU governance and legal framework? Protecting fundamental rights: the impact of the accession of the EU to the ECHR. A common European Constitutional Heritage arising from the Council of Europe and European Union European Courts. What can be expected from the Strasbourg Human Rights Court in areas related to the FSJ?. 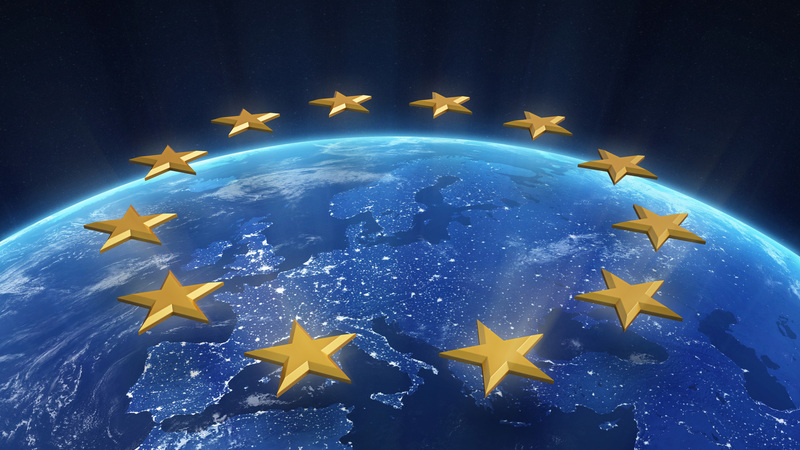 Promoting fundamental rights: the European Charter and its impact on EU policies. Even if the Charter does not extend the EU competencies it is now a constitutional parameter to be taken in account not only by the European judges but also by the EU legislature, even for policies designed with a more limited scope. Evolution and transformation of the principle of Primacy of EU law. Dialogue and mutual influence of European and national Constitutional Courts. Fifty years after the landmark case of Van Gend en Loos and four years after the Lissabon-Urteil (Bundesverfassungsgericht judgment of 30.6.2009), the tensions between EU “limits” and national “counter-limits” could arise again notably in the EAFSJ area. The EAFSJ a cross road of European and national founding values (art. 2), as well as for fundamental and European citizenship rights. How manage the indivisibility of rights and a Member States differentiated integration ? The EAFSJ as supranational constitutional area of democracy. From National State to the European Union: what kind of relation between national and european legal orders ? Sixty years of EU integration have changed the concept of democracy and sovereignty. There is a metamorphosis in National State’ s traditional role and its constitutional elements such as territory, citizenship and sovereign power. The Kantian vision of a peaceful cosmopolitan project mirrors the category of EU citizenship arising in the EAFSJ. Today Habermas developed the concept of “Constitutional patriottism”, underlying a “constitutionalisation” of the European supranational area. What are the pro and cons of this EU perspective ? The post-Lisbon Treaty stressed that the EAFSJ is becoming the embryo of a European public sphere as well as of a first example of supranational democracy. The EAFSJ before Lisbon. The intergovernmental cooperation. From “TREVI” via “Schengen” to Amsterdam. The first phase. How formerly excluded EAFSJ related policies have been integrated into the EU framework. TREVI cooperation, the Schengen agreement (1985) and its 1990 Implementing Convention as well as the Dublin Convention on Asylum. The emerging notion of supranational space in the Single European Act (1986). The mutual recognition principle in the Internal Market and in EAFSJ-related policies. The Schengen Acquis in the EU legal framework from Amsterdam to Lisbon. Opt-in and Opt-out Countries: the impact of differentiated integration. Schengen relevance and ECJ jurisprudence on the preservation of the Schengen system consistency. From cooperation to integration. The EAFSJ after Lisbon (1). How the EAFSJ specificity has been preserved by progressively integrating it in the ordinary EU (communitarized) legal institutional framework. The impact on the EU institutions and on the MS. The EAFSJ after Lisbon (2) How democratic principles are fulfilled in the EAFSJ. The impact of the EP on legislative procedures. The interparliamentary dialogue and the way how the EP and national parliaments play their role when verifying the subsidiarity and proportionality principles in the EAFSJ policies. The emerging role at EU level of “political families” represented at national European and international level (European political parties, EP political groups, national parties). How EAFSJ policies are implemented at national level. Problems and opportunities arising notably when implementing the mutual recognition of other EU countries’ measures. How intertwined are the EU and national administration in the EAFSJ related policies. Is there complementarity between EU and National strategies? The EU financial levy as a facilitator of mutual EU-national coordination. The emerging role of EU Authorities and Agencies as a support and meeting space also for national administrations (Ombudsman, FRA, EDPS, FRONTEX, EASO, EMCDDA, EUROPOL, OLAF, CEPOL, EUROJUST, …). How EU legislation implements the principles of equality and non-discrimination. The ECJ jurisprudence and the phenomenon of reverse discrimination. EU citizenship-related jurisprudence. Judicial action at national and European level founded on the EU Charter. Infringement of EU founding values and fundamental rights as possible exceptions to the mutual recognition obligations? Fundamental Rights Agency. After Lisbon a more transparent independent and efficient EU administration can be founded on Arts 15 and 298 of the TFEU as well as Arts 41 and 42 of the European Charter. However the close intertwining of the EU and the Member States has created a hybrid system of European Classified Information (EUCI), which is particularly relevant in the EAFSJ policies. How do European and national institutions implement the EU principles? How is the principle of good administration secured? What role should the EU Ombudsman play? Protection of Personal Data. The EU reform. After the Lisbon Treaty and the merger of the so-called first and third pillars, protection of personal data can be framed in a globally consistent manner. Informational self determination, protection against possible abuses by the private sector as well as by public sector (law enforcement authorities) can now be framed at European level by taking stock of the lessons learned at national and international level (Council of Europe, OECD). How to preserve the role of national authorities and of the new coordinating body. Objectives, legal framework and operational setting of the EU-Member State policies. Five years after the European Pact on Asylum and Migration (2008), what lessons can be drawn for the next (2015-2019) multiannual programme? What improvements can be foreseen for the EU migration governance at central and national level? How are the Member States implementing the EU legislation? What are the main external aspects of the EU migration policy? After the first generation of EU “minimum” rules the EU has now established the Common European Asylum System foreseen by Art. 18 of the Charter and Art 78 of the TFEU by taking account of the jurisprudence of the Luxembourg and Strasbourg Courts. At national level high standards should be granted to avoid the problems found for instance with Greece when implementing the Dublin system. The principle of solidarity still seems to be underexploited. Attention should be paid to the new role of EASO (Reg. (EU) No 439/2010) as well as to the implementation of the EURODAC system. Judicial cooperation in civil matters; complement of the freedom of movement? Judicial cooperation in civil matters has been one of the most dynamic domains after the entry into force of the Lisbon Treaty. Enhanced cooperation took place in matrimonial matters and intellectual property. Special attention will be reserved for the recently revised Brussels I Regulation (which abolished the “exequatur” procedure) as well as for the new Regulations on succession and wills and on mutual recognition of protection measures in civil matters. Internal security strategy: crisis prevention and management. How judicial cooperation in criminal matters has been developed between countries of different legal traditions (civil and common law). Problems and opportunities arising at each level of cross-border cooperation (open coordination, mutual recognition, legislative harmonisation). The European jurisprudence (Strasbourg and Luxembourg Courts) as well as the impact of the EU Charter. The implementation of the first post-Lisbon measures and impact of the Lisbonisation of former third pillar measures in this domain. Preserving the independence of the judiciary: towards European-wide judiciary quality evaluation systems. The European Public Prosecutor: a pattern also for Member States? The OLAF Reform and the Eurojust “Lisbonisation” are intermediate phases towards the creation of the European Public Prosecutor’s office (EPPO) (Art. 86 TFEU). The latter will be empowered to bring action also before national courts. The European legislation will determine the general rules applicable to the European Public Prosecutor’s Office, the conditions governing the performance of its functions, the rules of procedure applicable to its activities, as well as those governing the admissibility of evidence, and the rules applicable to the judicial review of procedural measures taken by it in the performance of its functions. What will be the impact, the risks and opportunities arising from the creation of this new European Institution? How to empower the EU citizens when EAFSJ are shaped and implemented ? It is a Copernican revolution in so far as the Union is called not only to offer “… its citizens an area of freedom, security and justice without internal frontiers, in which the free movement of persons is ensured in conjunction with appropriate measures with respect to external border controls, asylum, immigration and the prevention and combating of crime” (Art. 3 TEU and Title V TFEU) but also to promote (and not only protect) fundamental rights and prevent all forms of discrimination (Art. 10 TFEU) and strengthen EU citizenship (Arts 18-25 TFEU) and with it the democratic principles on which it is based (Title II TEU). The fact that the competences related to the ASFJ are now “shared” with the Member States (Art. 4 TEU) and are to be focused on the rights of the person brings about a daily interaction between the national and the European level, bringing into play national and European values, rights and objectives. The process of reciprocal hybridization between the nascent European model and traditional national models is anything but politically painless, as the experience of almost thirty years of Schengen cooperation shows. The aim of this Summer School is to assess the progress and difficulties encountered by the European institutions and the Member States in implementing the Charter of Fundamental Rights and the objectives set by the European Council in the “Stockholm Programme” of 10 December 2009. – Member States which have hitherto enjoyed special treatment (Ireland, Denmark and the United Kingdom in particular) should have clarified their position with respect to the new phase of the ASFJ and the Schengen cooperation. In the course of the next legislature it will also be necessary to promote greater consistency between European and national strategies related to the European area of freedom, security and justice. Just as in the economic sphere, the divergence of national public policies has put at risk the credibility of the common currency, the diversity of standards for the protection of the rights in Member States is straining mutual trust, the application of the principle of mutual recognition and the very credibility of the nascent “European model”. The strengthening of the operational solidarity between Member States’ administrations – which is being developed for example within the framework of Schengen cooperation – must be accompanied by legislative, operational and financial measures that implement solidarity between European citizens and third-country nationals on the territory of the Union. In this perspective, Italy may play an important role as the new multi-annual programme for 2015-2019 is to be adopted by the second half of 2014 under the Italian Presidency.